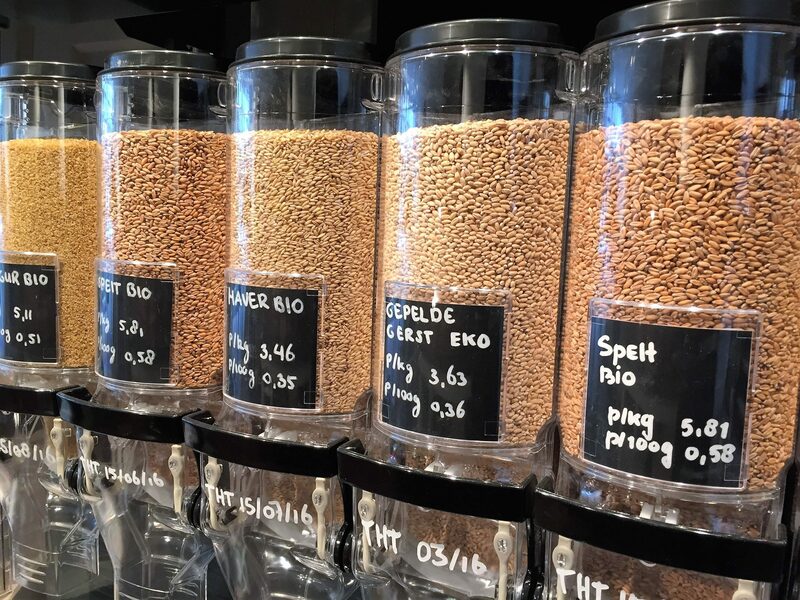 Customers are attracted to the self dispense section because of all these natural facings beautifully displayed in the transparent dispensers. The food dispenser will always look full because of the false front. 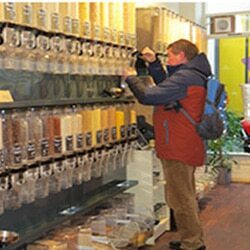 Customers can pick their favorites and buy just the amount they need. The market shows that customers do not buy more but return more often! Cereals are usually sold in cartons with plastic inner packaging. 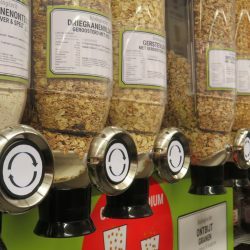 If everybody would buy cereals from the dispenser we would need less landfills. 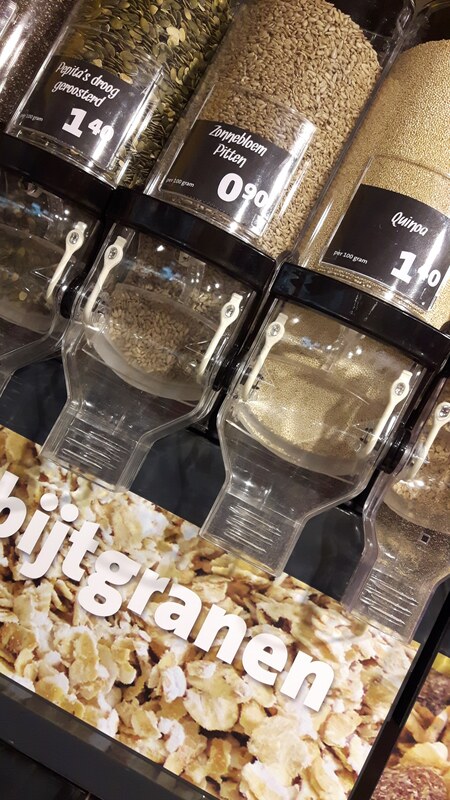 Together we can save packaging by offering cereals in bulk. Do you join us? Do you prefer a cereal portion dispenser? Portion dispensers give one portion at the time. 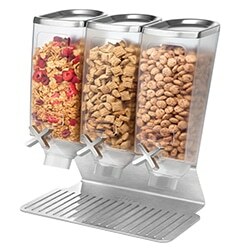 We can offer food service turning wheel dispensers and bulk portion dispensers. They will only work for easy flowing products like Jelly Beans, peanuts, beans, rice, grains, etc. Too soft or too sticky will not flow. 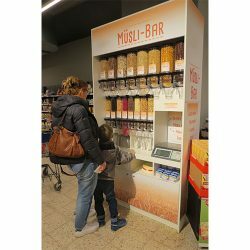 From a simple affordable buffet stand to a high-end, luxury cereal display, we can meet your needs. 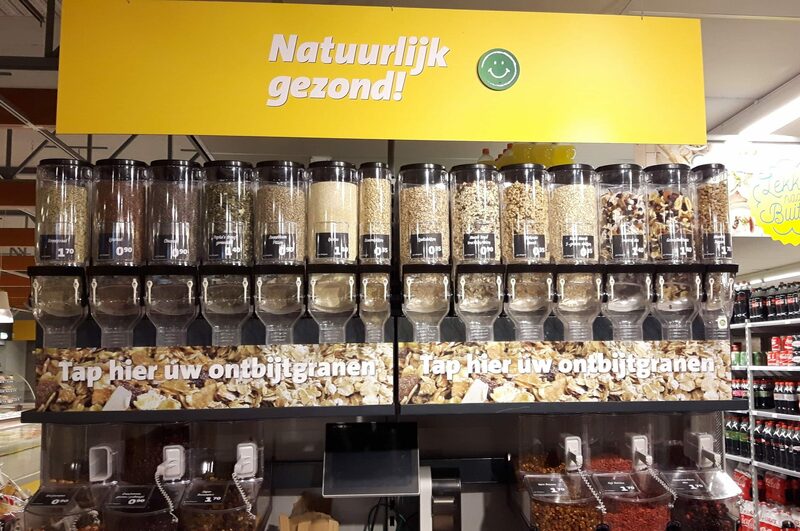 Present fine breakfast cereals in an attractive and hygienic way and your customers will love it.